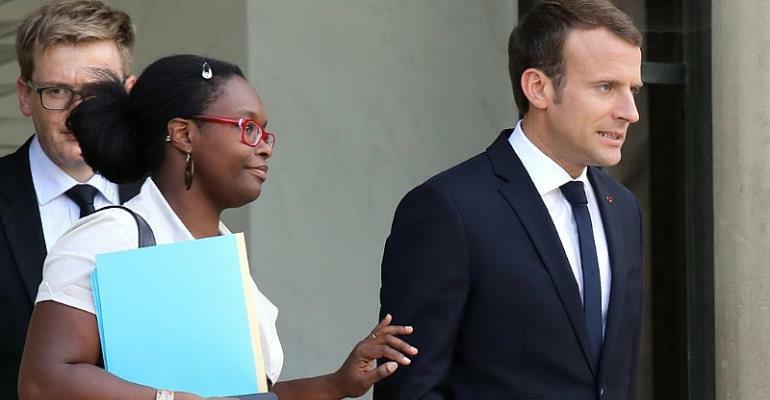 Sibeth Ndiaye has replaced Benjamin Griveaux as government spokesperson in a move that has angered the opposition who recall the Franco-Senegalese communication expert saying in 2017 that she would lie to protect President Emmanuel Macron if needed. The government announced the promotion of three members of the Republic on the Move party in a statement issued late on Sunday evening. The Brexit hardliner Nathalie Loiseau resigned as European Affairs minister to lead the ruling party's European election campaign, and has been replaced by Emilie de Montchalin. Mounir Mahjoubi resigned from the government last week after accepting a job at Amazon. He has been replaced by Cedric O, who is hailed as a “geek” by the 20 Minutes newspaper. Sibeth Ndiaye's appointment as government spokesperson is provoking a furor. Ndiaye, whose first name means “Queen of combatants” in the Casamance region of her native country of Senegal, will need all her combative spirit to ward off criticism being levied at her by opposition parties. Within minutes of the announcement, François Kalfon, an influential member of the Socialist Party in the Paris region, told LCI television that “President Emmanuel Macron has named Sibeth Ndiaye government spokesperson so that she can lie for him,” in reference to a comment Ndiaye made to a journalist for L'Express magazine in 2017. “I know perfectly well how to lie to protect the president,” Ndiaye is credited with saying. Those words are now emblazoned on a meme being circulated on social media, causing Ndiaye to shoot to the top of the trending charts on Twitter for all the wrong reasons. Stéphane Ravier of the far-right National Rally party goes a step further branding Ndaiye a “professional liar”. In addition to the overt criticism being directed at Ndiaye, editorials in the French press question whether or not the 39-year old has sufficient experience for such a key role in the government. Ndiaye's CV resembles that of a seasoned communication expert rather than a career politician. Ndiaye was born and raised in Senegal where her mother was a magistrate and her father was a politician. She left Dakar for Paris to attend high school. Ndiaye went on to study philosophy at university, obtained a Masters in public finances before becoming a manager for a student health insurance scheme in 2003. The mother-of-three entered the political fray in 2006 when she joined Dominique Strauss-Kahn's presidential campaign team. Strauss-Kahn withdrew from the race after he was accused of sexually assaulting a chambermaid at a New York hotel. Although Ndiaye backed the wrong horse on that occasion, she got to rub shoulders with the Socialist Party elite. In 2012 she was named head of communication to the then Economy Minister, Arnaud Montebourg. Ndiaye continued in her role after Macron took over from Montebourg in 2014. Ndiaye went on to play an integral role in President Emmanuel Macron's election campaign. A savvy social media consultant, Ndiaye crafted Macron's online image helping him to reach out to millions of younger voters. The higher Ndiaye rose, the louder the criticism grew of her not having French nationality. She was naturalised in 2016 shortly before leading the communication team that helped Macron win the presidency. Ndiaye retained her Senegalese nationality, and spoke of the debt she owes Senegal during her first press conference since becoming spokesperson, “Senegal gave me the strength to begin this journey”.